The development of the automatic transmission series in the GM lineup has created excellent gearboxes for Chevy vehicles. The classic stick-shift editions used up until the 1980s gave way to the Chevy automatic transmission now in use. A person seeking a replacement for this gearbox type is in luck here. The inventory of transmissions that are found here at Got Transmissions includes multiple styles that are ready for instant installation upon delivery. The 700R4, 4L60E, 4L80E and the heavy-duty T5 series represents some of the most requested units in the Chevy family. These transmissions have been placed into a multitude of vehicles. The standard 4-speed editions that were used primarily through the 1980s were upgraded to 5-speed with the T5 introduction. The automatic nature of the shifting patterns has proven successful for General Motors. The electronically controlled units are now standard in most vehicles produced after 1990. The used gearbox units that are found through some resources online are not covered for breakdown. A person researching Chevrolet transmission providers can be surprised at the lack of assistance provided from dealers. One difference that is found here at the Got Transmissions company is the limited warranty coverage. We place these policies with each sale. Customers seeking a better form of coverage benefit from the warranty policies. 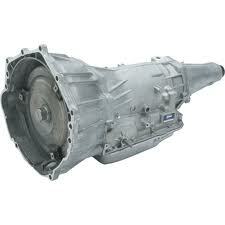 Most of the OEM Chevrolet parts and components that are inside the automatic transmission are covered. The full warranty coverage is one example of buying incentives. The previously owned inventory of Chevy units also includes editions that are stick-shift. These were the go-to sources of shifting technology from 1940 to 1980. If you aren’t searching for an auto gearbox, the manual units that we sell here for Chevy vehicles are excellent. These are no different in quality. The same inspections and evaluations by our team are completed. You’ll never waste your money on a GM series transmission for sale here. The prices can always vary between Chevy dealers online. The policies that we use to help determine transmission costs help keep the standards straight. The distribution team that provides our inventory usually provides cash discounts. These are applied to our sale pricing. You can get access to our quotes for prices easily here online. Enter the year, make and model of any automatic transmission from Chevy into our quotes form on this page. We instantly display the sale pricing. If you’d rather call by toll-free number, we offer our best customer service agents to help you. We’re ready to provide transmission fulfillment to you in the U.S.